Get this free printable pineapple aloha card just in time for summer! Get these free printable papa bear cards to use for Father's Day! Get this free printable card in honor of Mother's Day! Get these free printable dinosaur cards to wish someone a happy birthday! Get these free printable Mother's Day cards celebrating mama bear! Get these cute free printable pugs and kisses cards to give to someone you love! Get these cards to send a quick hello to a friend! Get these 2 free printable thank you cards - perfect for baby showers and weddings! Get this free set of 4 printable You're Amazing cards to use as thank yous or just to let someone know they're amazing! Get this set of 3 free printable thank you cards! 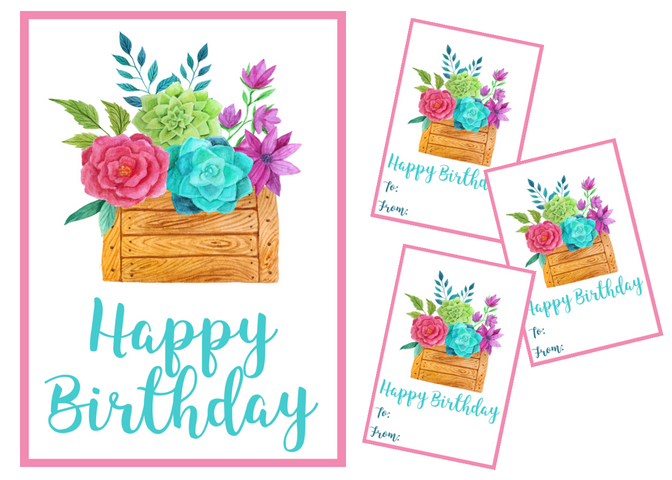 Print out this free set of 5x7 Happy Birthday cards in 3 different designs. Get this cute 8x10 print & 5x7 card in celebration of Easter! Free Printable 5x7 Sweet Honeybee Cards. Let someone know they are extra special to you! Get a free printable 5x7 Valentine's Day card. Show your loved ones you care this February 14th!